The photos below show a dog that had a surface cut that was approximately 1 1/4" long but was actually about 2 1/2" long underneath the skin. 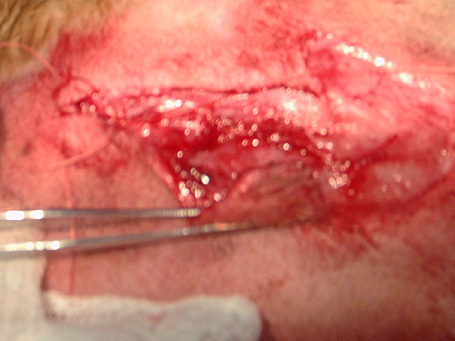 The underlying tissue needed to be sutured as well as the surface tissue. 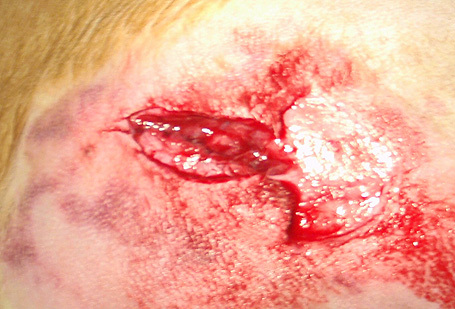 In this particular case, the surface skin was cut back exposing the injury so that that it could be appropriately sutured and then the entire injury was sutured on the surface. 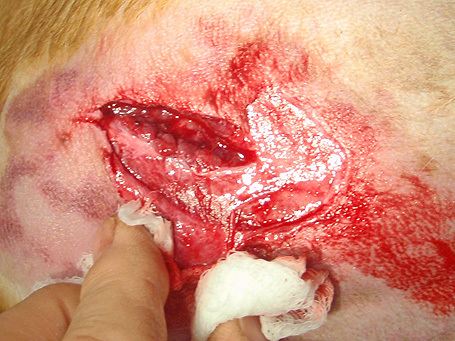 If your dog is injured, it is usually best not to play veterinarian or attempt at diagnosis. 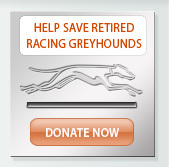 If you can't get someone at National Greyhound Adoption Program on the phone, please go to your local veterinarian. If you get the right person on the phone, they can possibly walk you through some diagnosis to determine if your dog actually needs to come in. 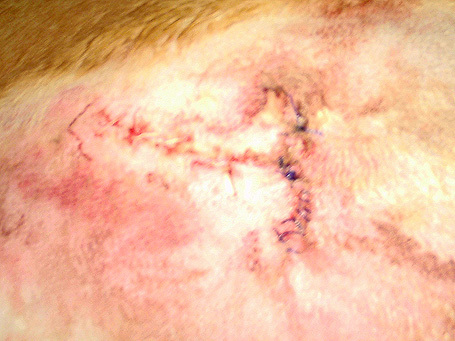 Never underestimate damage to your dog's skin, especially bite wounds which can be deep, bring about infection, and potentially cause death. We have found that using Dexdomitor, which will induce sleep for about 45 minutes, will permit you enough time to open and suture interior wounds as well as the surface skin. If the wound is serious, general anesthesia may be appropriate. 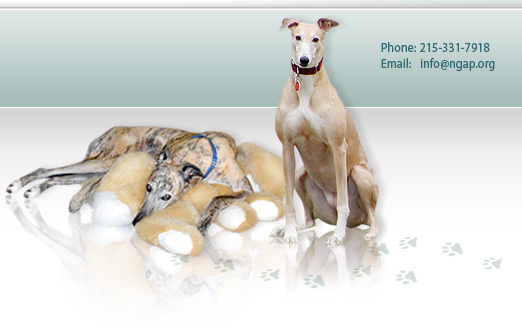 If it is not serious, Dexdomitor is extremely safe, especially in greyhounds, and will give you a significant window of time to make the repair. 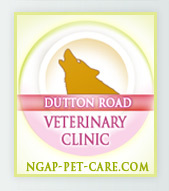 At NGAP, we would normally do a dental touch up and nail clipping at the same time without a significant rise in price. Before your dog is put under general anesthesia, we suggest you discuss with your vet why it is being done, as it is the most expensive course. Both pain medication and antibiotics should follow any procedure of this type.